Limuel (Ronnie Lazaro) is a taxi driver. On a busy night in the Christmas season, he picks up Emmanuel (Raymond Bagatsing). Limuel drives Emmanuel through the city traffic to the other side of Metro Manila, and on the way, the two get to know each other. But not everything is at it seems. Both of them are hiding secrets, and before the night is through, those secrets will force both of them to the edge of their humanity. The main action starts when those secrets are revealed, and that’s better left to the audience to discover on their own. But even before that action sets off, there are already plenty of indicators of the turmoil that follows. The film largely takes place within the confines of Limuel’s festively lit taxi, practically every frame suggesting claustrophobia. Furtive glances belie the openness of their conversation, building an atmosphere of paranoia even as trust is supposedly being built. This movie drips with tension, the cab a powder keg of possibility, simply waiting for either passenger to light the fuse. A lot of the credit has to go to the direction. It is amazing how much movement the movie gets inside the cramped space of a taxi. The camera lets in the night, letting the darkness seep into the metal carriage, welcoming the odd luster of Manila after dark. The scenes inside the taxi are so well done that it’s almost a disappointment when the characters step out. The business outside the car isn’t really as interesting or as menacing as the quiet terror evoked by the confines of the vehicle. It results in a climax that doesn’t quite feel as satisfying as the buildup. Two actors anchor this movie, and one of them happens to be Ronnie Lazaro. There is no movie in existence that Lazaro does not make better. And when he is at the center of the action, the result is often mesmerizing. Lazaro wears the story on his face, the tension embedded in his eyes, the struggle of his character etched plainly on the side of his mouth. Ronnie Lazaro is one of the finest actors in the country, and this movie is just more proof of that. Raymond Bagatsing steps up as well, matching Lazaro with a layered performance that plays with shifting identities. Boundary is a serious pleasure. It is a film that transcends the limits of space and time, turning a taxi into a vast landscape of darkness, and transforming a single night into an endless ordeal of secrets, lies and unbroken tension. The revelations end up feeling a bit underwhelming, but it was never about the destination. As is often the case, the real joy is in the journey. This particular journey takes the audience down dark paths, even as it depicts the strange bonds that can be formed between complete strangers. That’s a remarkable thing. The Philippines is an archipelago of 7,100 islands, so it’s no surprise there’s a lot going on there – such as: a child Christ, gay zombies, a rock ‘n’ roll band going for the big time, a taxi driver on the ride of his life and a Vietnam War vet with a vast harem. Those are some of the stories in a major retrospective at the Yerba Buena Center for the Arts series New Filipino Cinema, which serves as a frontlines report of what’s going on in what Center programmer Joel Shepard calls the most underrated independent film region in the world. It says something about the commitment to the underserved of Shepard and series co-curator Philbert Ortiz By, a critic from Manila, that there are no films by the most internationally recognized Filipino director, Brillante Mendoza (the first director from the Philippines to win best director at the Cannes Film Festival, for “Kinatay” in 2009). Another goal of the series was to expand beyond the cliche of films set in garbage dumps and crushing poverty. Popular cinema is not ignored, either: Saturday’s program includes a documentary portrait of horror film character actress Lilia Cuntapay and two films that played in shopping mall multiplexes: “Rakenrol,” a love story set amid the Manila rock scene, and “Remington and the Curse of the Zombardings,” a gay zombie movie that uses comedy horror to tackle homophobia. Bautista has been living in the Bay Area since 1984 but has worked on projects both in the United States and the Philippines. While he was working on a documentary in Manila, he found himself taking a lot of taxi rides. In a way, the whole New Filipino Cinema series is like a taxi ride through the cinematic landscape of a fascinating corner of the world. Look out the window – you’ll see what’s happening. Through June 17. Yerba Buena Center for the Arts, 701 Mission St., S.F. (415) 978-2700. www.ybca.org. A half hour into Benito Bautista’s BOUNDARY and I’m mesmerized by Bautista’s orchestrated sense of foreboding, McCoy Tarnate’s neon-stained and vehicularly claustrophobic cinematography, and the grating disquietude of Coke Bolipata’s anxious violin score. This is Manila neo-noir, darkly beautiful and atmospheric with distrust, uncertainty, desperation and pathos. That storyline bears striking similarities to the urban narrative of Amok (2011), undoubtedly because it shares John Bedia’s co-authorship. “New Filipino Cinema” provides a fantastic opportunity to experience Bedia’s burgeoning screenwriting talent, as both of his film credits to date have been programmed into the series. Whereas Chard Bolisay was referencing Amok when he wrote that the film’s denouement was a “gala of predictable outcomes and unpredictable victims”, his observation could just as easily apply to Boundary. Bedia likewise seems drawn to the interior world of vehicles, momentarily safe from but ultimately encroached upon by the menace of Manila. He scripts the permeability of this boundary. How directors Lawrence Fajardo and Benito Bautista have stylized the mise-en-scène of Bedia’s confined vehicular sequences in their respective films is an equally fascinating consideration of the auteurial conversion of word to image. Amok‘s diurnal and sweltering visualization is in sharp contrast to Boundary‘s lustrous nocturnality, awash with vivid oranges and greens bleeding in from the city’s neon lights, as well as the Christmas lights strung up within the cab’s interior. Tarnate’s containment of so much color and movement within the constraints of the vehicle is downright masterful. I found myself frequently intrigued by his shifting camera placement and wondering how even one more person (i.e., the cameraman) could fit into an already crowded cab? In the role of the guilt-ridden cab driver, Ronnie Lazaro—who I last saw in Affliction (Yanggaw, 2008), reviewed by both Oggs Cruz and Chard Bolisay—exudes the sweaty desperation of Manila cab drivers sympathetically described by Cruz at Lessons From the School of Inattention. His fare, the ruggedly handsome Raymond Bagatsing, suggests a different temperature of menace. Together, within the confines of the cab and the guarded limits of their conversation, they reflect in microcosm the shady ways of the outer world. Boundary negotiates its interior and exterior spaces at YBCA’s “New Filipino Cinema” on Friday, June 8, 9:00PM, with Bautista in person to Q&A with his audience. I envy this opportunity as Boundary has emerged as one of my favorites from the YBCA series. Ticket info can be found here. BOUNDARY garnered major nominations for the 35th Gawad Urian: Best Film, Best Director, Best Actors (Ronnie Lazaro and Raymond Bagatsing), Best Sound. Congratulations to all the nominees! Benito Bautista is not just a practitioner of storytelling; it runs in his blood. That early inspiration sparked Bautista’s passion for movies. After a decade of filmmaking classes, internships and production jobs, Bautista created “Harana,” a feature-length documentary, and he’s now moved on to features. His new film, “Boundary,” is making the rounds of film festivals. And it’s doing quite well, scoring awards at Cinemalaya and Cinemanila festivals. 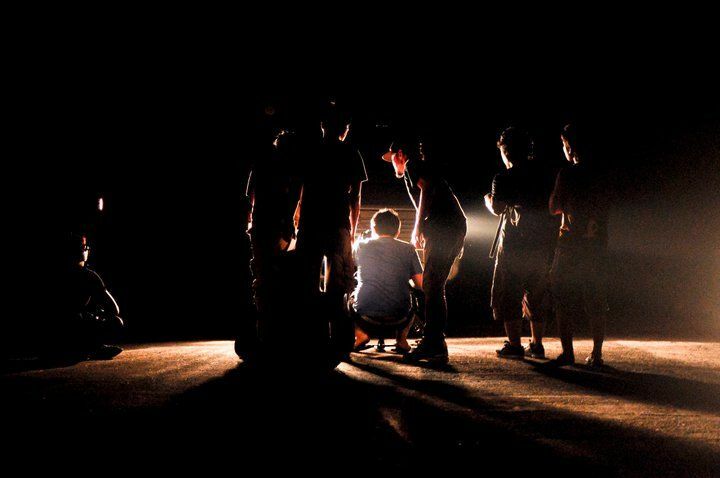 On April 28, “Boundary” will be featured as one of six films from both “acclaimed and emerging” Filipino filmmakers. “Boundary” is an unsettling and tense tale about a nervous cabbie, his spookily unruffled passenger and a small gang of street punks. And it was born on the back seat of a taxicab. Meeting with producers and investors, Bautista got used to scooting around Manila in cabs. As the Philippine economy improves, the taxi business is booming, beginning to fill an important space between public transportation and personal transport. The opening scene of the film, in which the jittery — and obviously broke — cabdriver counts up pennies in his head to buy a banana from a child street vendor, sets the stage. “Boundary” is not so much about capitalism as the behavior-molding aspects of it. Much of the film is challengingly murky in terms of story clarity. Bautista seems more interested in the silences between words than the words themselves. The cast, with the main focus on cabbie Ronnie Lazaro and mysterioso passenger Raymond Bagatsing, workshopped for several weeks before committing to the four-day shoot. Bautista coached them to slow down, to add air to their dialogue, which helped build suspense. The set, such as it was, was primarily confined to the interior of a taxicab decorated with Christmas lights, an ironically cheerful counterpoint to the unsettling goings-on. It all takes place in the hellish glow of sodium street lamps and waves of flashing headlights. It only took four days to shoot because Bautista pretty much had the film already composed in his imagination. Like all independent films, “we’re now fishing for time and scheduling, and we always lose to big studios,” Bautista said, laughing. Bautista will introduce his film and answer questions at the festival. When EastAsia.fr asked film critic, writer, and Asian Film Festival & Distribution Companies consultant Bastian Meiresonne his top ten list of films in 2011 in Asia, Meiresonne responded with his top ten list for each country in Asia. BOUNDARY is honored to be included in his top ten films from the Philippines. Neel Chaudhuri is a playwright, theatre director and critic based in New Delhi, India. He was the Deputy Editor of Osian’s-Cinemaya, the Asian Film Quarterly, and a programmer with the Osian’s-Cinefan Festival of Asian and Arab Cinema. Boundary tells the story of a taxi driver working in the heart of the metropolis. On one of his nightly rounds, he picks up a well-to-do passenger, and he quickly establishes a seemingly friendly rapport with him. But as the car ride continues, there is a mysteriously tense atmosphere lingering inside the claustrophobic confines of the cab as each of them harbors dark secrets, secrets that are slowly revealed along the way. It is very satisfying to see the balance of power shift among the different characters throughout the movie. There is a masterful restraint in Bautista’s direction – he lets his characters play a very complex mind game without it ever feeling clichéd or over-the-top. The movie’s dark cinematography and unnerving music helps in creating a persistently suffocating atmosphere, letting the movie’s paranoia and uneasiness crawl unsettlingly underneath your skin as you anticipate each player’s next move. Bautista drew inspiration from the real stories of cab drivers, and there is a deeper sociopolitical message that the movie makes. We see how the bleak conditions of Manila compel people to make morally bankrupt decisions, and how these situations are caused by endemic forms of corruption that dictate how Philippine politics is done. Because Boundary is successful on multiple levels, Bautista has proven that he is one of the Filipino directors to watch out for. Confined mostly within the very small spaces provided for by the cabs, taxi drivers live lives that are well-suited for cinema. Although they are forced to interact with people of various personalities, needs and intentions, this human interaction is limited to services being offered and stories being shared in the interim. They are constantly embattled, by drowsiness when forced to drive nights, by paranoia when a particular passenger raises suspicions, by desperation when the shift’s earnings are not enough to cover the cab owner’s quota leaving them with hardly any income to live with. Within the rigid confines of their cabs and their means of livelihood, they witness, either through the endless tirades of newscasters in the radio programs they listen to or through actual experiences, the worst of what a corrupt society can deal to a person. Boundary starts ominously. Coke Bolipata’s violin wails in the background as a dishevelled and obviously paranoia-stricken cab driver (Ronnie Lazaro) opts for a snack in what seems to be an ironically idyllic riverside park. Within the first few minutes of the film, director Benito Bautista orchestrates a view of Manila that is intriguingly unhinged. He carefully sows the seeds of suspicion, which will eventually color the atmosphere of the film. The film retreats from the temporary comforts of day as it follows the cab driver as he plies the crowded streets of Manila well into the night. At this juncture, Bautista allows a glimpse of the city from a distance and away the jaded eyes of his overworked protagonist, evoking a certain calm amidst the chaos of the city before plunging his viewers into a more intimate yet intense look of how that seemingly disconnected bigger picture finds its way into the most contained of spaces. From then on, Bautista follows the cab driver as he picks up a well-dressed man (Raymond Bagatsing) who asks to be driven to nearby Antipolo. Beneath exteriors defined by random acts of decency and conversations marked by normalcy, both the driver and his passenger are in fact brewing plans of their own. The action is mostly set inside the cab, with the storytelling done mostly through the conversations the cab driver has with his passenger and the characterization limited to the stories relayed, the mannerisms, gestures, and other occasional quirks. The paranoia Bautista invested in early on manages to color the prolonged sequences within the cramped interior of the cab with tremendous foreboding, carrying the film despite being constricted with its location with a sizeable portion of uneasiness and tension. From within the cab, safety from the viciousness of the street is in fact an illusion as desperation creeps into the picture, forcing the cab driver to survive amidst all odds. Boundary falters only in logic. Bautista succeeds in establishing the dangers of uncertainty in the familiar. However, the screenplay, which Bautista co-wrote with John Bedia, is peppered with holes, raising more questions of logistics and practicality rather than answering them. This, of course, is a minor and forgivable problem considering that everything else seems so masterfully orchestrated, from Bolipata and Paolo Peralta’s unsettling score to McCoy Ternate’s aptly economic cinematography to Chuck Gutierrez’s intelligent editing. In the end, Bautista has crafted a firm and suspenseful thriller whose clever twist in the end puts both perspective and pertinence to its constricting but intriguingly exciting process. It has been a heady ride so far, much like commuting in a taxicab on the chaotic streets of Manila. Still, winning the Netpac [Network for the Promotion of Asian Cinema] prize for his film “Boundary” at this year’s Cinemalaya was “heartwarming and momentarily surreal,” says Benito Bautista. Cinching the prize was the farthest thing from his mind when he started the “physically draining” adventure that was “Boundary,” he tells Inquirer Entertainment via e-mail. “Boundary” is about a nervous cabbie, an enigmatic passenger and a brazen thief whose paths cross one hectic night during the holidays. Biggest hurdle was gathering the cast—composed of indie faves Ronnie Lazaro, Edwin Nombre and Raymond Bagatsing—for the shoot, which predominantly took place in a cramped and gaily decorated taxicab. “We had to work out the cast and crew’s schedules for the Christmas holidays,” Bautista recounts. But the four-day shoot went smoothly. “Working with Ronnie, Raymond and Edwin, I saw the film clearly even before the cameras started grinding,” the director relates. His lolo (grandfather), Domiciano Salvador, kept him occupied with stories of war, politics, friendships and fistfights; his lola, Belen Cruz-Salvador, fed him adobo and sinigang na baboy. “Those memories left a lasting impression on me,” Bautista says. He dedicated his Netpac award to his lolo to whom he traces his love for storytelling. 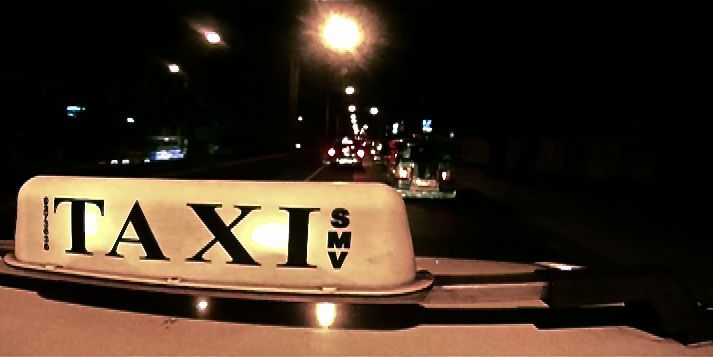 A Manila taxi ride – now, that can be an adventure. But it can also be an enlightening experience if you happen to have a driver with an engaging story to tell and who is an engaging storyteller.I’ve had many memorable chats with taxi drivers. There was one who talked about his funny misadventures as an overseas worker in the Middle East. There was another who, with pride, told me of his and his son’s dream of starting a small food stall at a local public school. And there were several who excitedly shared their views on the latest political developments in the Philippines.I’ve also had a few strange encounters, like one night when my driver pointed out that the spot where he picked me up near Pantranco was notorious for hold-up robberies.The out-of-the-blue comment quickly raised a red flag in my mind as I braced myself for a robbery. But after a few minutes, I realized I was wrong. In fact, I got it backwards: It was my driver who was worried about getting robbed, and was probing for signs if I was a bad guy.Similar encounters inspired Benito Bautista to examine the world of the Manila taxi driver. His latest film, and his first full-length feature movie, “Boundary,” was inspired by conversations with Manila taxi drivers.He was in Manila for post-production for his documentary “Harana,” featuring the classical guitarist Florante Aguilar, when he became interested in the stories of the Manila taxi drivers.“All of a sudden, I was drawn into their stories and I became a captive listener,” Benito recalls. “The taxicab stories are often personal, touching on the experience of work and family. A good number of taxicab drivers express their emotional commentaries about the political, social, and economic issues they hear on the AM radio,” according to the film’s production notes. In fact, Bautista’s exploration of the world of the Manila taxi driver is framed as a crime thriller. A taxi driver named Limuel (Ronnie Lazaro) picks up a well-dressed passenger (Raymond Bagatsing) who comes across as a middle class executive. On the ride from somewhere near EDSA to Cubao to Antipolo, they talk and even develop a form of friendship. But there’s tension on the long ride. That’s partly because Limuel is part of a conspiracy. In a scene that many commuters, especially at night, dread, Limuel stops in an isolated part of a street to let three gang members in. But that was not the only twist in the story. Bautista deftly tells a tale of suspense that offers a glimpse of Manila’s urban underworld. The film is propelled forward by the nuanced performances of three veteran actors – Bagatsing, Lazaro and the gang leader Diego played by Edwin Nombre. Lazaro, in particular, demonstrates why he is one of the best Filipino dramatic actors with a powerful performance as the struggling, conflicted taxi driver. The role was an even bigger challenge for Lazaro. He had to learn to drive like a Manila taxi driver. “Sige let’s do this! Rock and Roll!” he quips in production notes for the film. Like any typical indie film, funding was a major hurdle. Bautista rallied friends and got the support of post-production outfits and friends and family. But he had to work with a tight budget. He even insisted on using recyclable materials for props, though that may also be due to the fact that he’s a longtime resident of the green-conscious San Francisco Bay Area. The film was shot shortly after the last Christmas season. Bautista said he wanted to take advantage of the odd combination of joy and tension during that time of the year in Manila, when, despite the holiday cheer, there was also the “watch-out for snatchers, robbers, fire-crackers, explosions, carnappers, etc” energy in the metropolis. The decision paid off, I think. “Boundary” is one wild and exciting ride. BOUNDARY is inspired by true stories of taxicab drivers of metropolitan Manila. It is set in the urban roadways of Manila during Christmas. Limuel (Ronnie Lazaro), a middle-aged taxicab driver picks up Emmanuel (Raymond Bagatsing), a handsome businessman as his last passenger for the night. Unknown to Emmanuel is Limuel’s conspiracy to bring him to the robbery hideout of Diego (Edwin Nombre), a feisty and volatile robbery gang leader. Their journey together from Cubao to Antipolo is riddled with inescapable tension and bad luck, and the only way out is to face their damnation. While in Manila and awaiting for finishing funds for post-production of a feature documentary film called Harana, San Francisco-based independent filmmaker Benito Bautista finds riding taxicabs around the urban roadways of the metropolis and conversing with the taxicab drivers affecting. 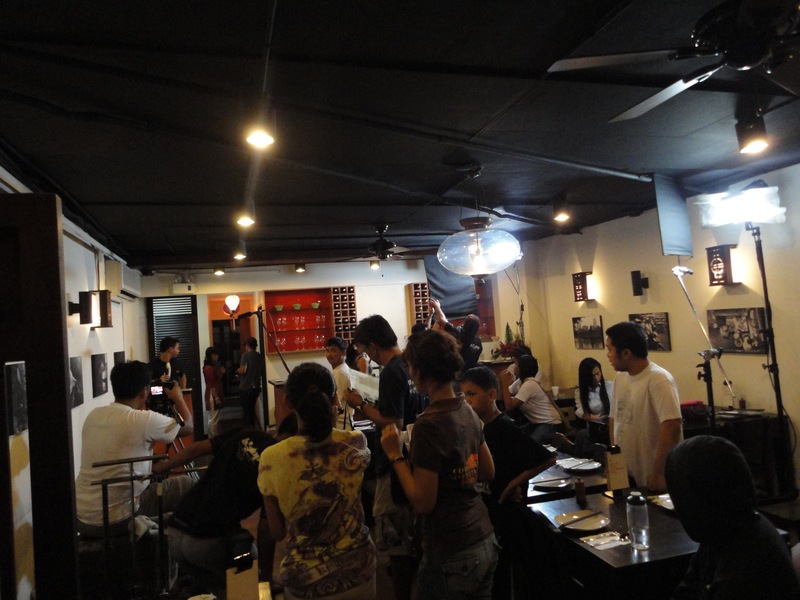 Writer-Director Bautista immediately wrote a skeleton structure of the story and presented it to SF-based filmmaker and Casting Director Emma Francisco. Miss Francisco created a list of actors for the main characters and with a series of hopeful emails and text messages she immediately arranged director Bautista’s meeting with Ronnie Lazaro, Raymond Bagatsing, and Edwin Nombre. “It was a dream casting for this film. I figure if Ronnie, Raymond, and Edwin do not find the story and the characters in the story appealing, then I would just develop another one. I got lucky that they all liked it. This will be the first time that the three of them are going to work together in a feature film and that got me excited,” says Bautista. “It is going to be challenging because I have to learn to drive like a taxicab driver. Sige let’s do this! Rock and Roll!” remarks Ronnie Lazaro. “The graphic instrument in the film is the actor. And when your actors show you this undeniable twinkle and enthusiasm in their eyes as they begin to process their role then you know that you will become witness to an expression that is magical. And seriously it is an honor to be working with Ronnie, Raymond and Edwin in this film,” remarks director Bautista. “The next step was to prepare the screenplay and have my friend John Bedia co-write it with me. It really did not take us a long time to finish the screenplay.” Writer John Bedia was excited to co-write a genre film. “I wanted to explore a story about a crime drama genre film and I am also excited about the line-up of main actors and their roles in the film,” said Bedia. Director Bautista immediately approached friends and family for assistance in the form of minimal investments that will be utilized for the administrative, logistics, van rentals, pre-production workshops, permits, partial salary for the actors, catering, etc. After finishing the screenplay and a series of creative meetings with the collective of award-winning collaborators and workshops with non-actors, the film Boundary was finally shot two days after Christmas. Director Bautista wanted to utilize the joyful atmosphere and the wary and tense, “watch-out for snatchers, robbers, fire-crackers, explosions, carnappers, etc” energy that is present during Christmas time in Manila. According to both the Director of Photography Mccoy Tarnate and Sound Recordist Raffy Magsaysay the cramped condition inside the taxicab and the lack of time helped in the telling of the story. “We were in a claustrophobic condition and continually sweating inside the taxicab as we couldn’t really turn the air-conditioning on for sound recording but we thought that the experience motivated the telling of the tense moments of the journey”. Unperturbed by the long hours and minor setbacks like unacceptable permits, cinematographer Tarnate often expresses, “Walang problema basta steady lang”. Noticeable also in the film are the lighting and production design inside the taxicab, which are the collaboration of Cinematographer Mccoy Tarnate, Production Designer Theresa Tang and Lighting Designer Jun Mirador. According to them, “We wanted to incorporate exposure with the design and motivation of Christmas. And Director Bautista does not want to buy expensive materials and insists on using recyclable materials for props and practicals”. The making of a film relies heavily on collaboration amongst the different creative and administrative departments. “The film Boundary is a wonderful experience of trust and collaboration amongst the departments involved. Everyone from the Production Manager Reverie Rodelas, Assistant Director Grace Simbulan, SFX Make-up Joel Cuenca, Tech Consultants Raymund and Richard Belleza, the production crew all the way to the first time actors, catering, Art Department., transportation and logistics etc. really contributed in a very big way to the making of this film. “We did it together,” proudly remarks Director Bautista. Boundary is an urban-drama feature film inspired by true stories of taxicab drivers of metropolitan Manila written by Benito Bautista and John Bedia, directed by Benito Bautista, and starring Ronnie Lazaro, Raymond Bagatsing, and Edwin Nombre. The film is currently in post-production. Watch out for more updates on post-production edit, musical scoring, sound design and color grading.